Looks like Mother Hubbard has gotten into a new line of work since you heard from her last... 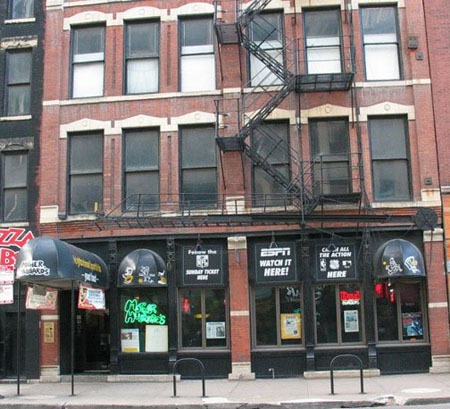 MOTHER HUBBARD'S SPORTS PUB is located on West Hubbard Street, and they serve up really delicious food and excellent drinks all day and all night long. There are lots of projector TVs and smaller sets throughout the bar so you can catch all the big televised games, and of course the beer is ice cold and there are lots of great selections on tap! If you love wings, you'll have to try this place, because they are very generously sized as opposed to the tiny wings that you're used to! We love this sports bar.